If you’ve filmed a video that’s a bit too long to upload or you want to speed up the action, you might want to increase the speed of your video. 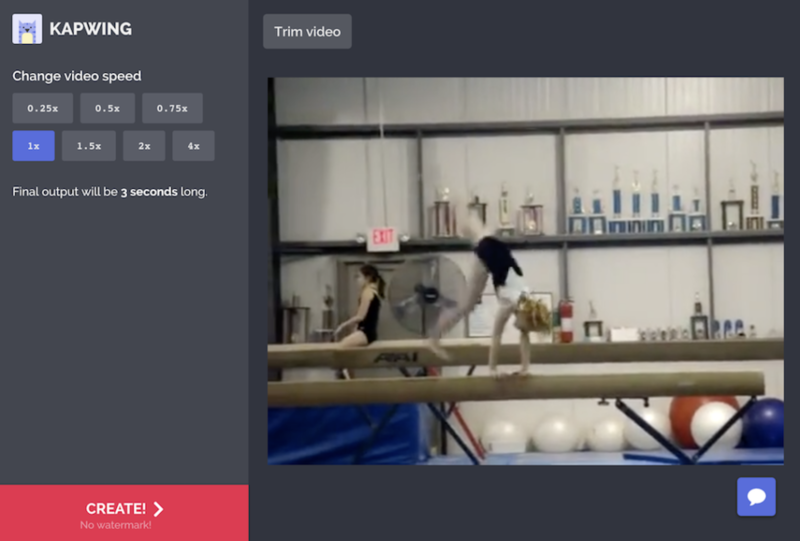 In this post, I describe how to speed up your video clips online using a free online tool called Kapwing! Why Speed up Your Video? Speeding up a video is a technique for showing time passing or demonstrating a process (like a recipe or DIY craft) in less time, without losing the viewer’s attention. It can also add artistic styling and increase the tempo of your video. Speeding up your video also shortens the video in length. Instagram main feed videos must be less than 1 minute long, and IG stories only allow for 15 seconds. If you have a great video that’s just a second too long to upload, increasing the speed may help. 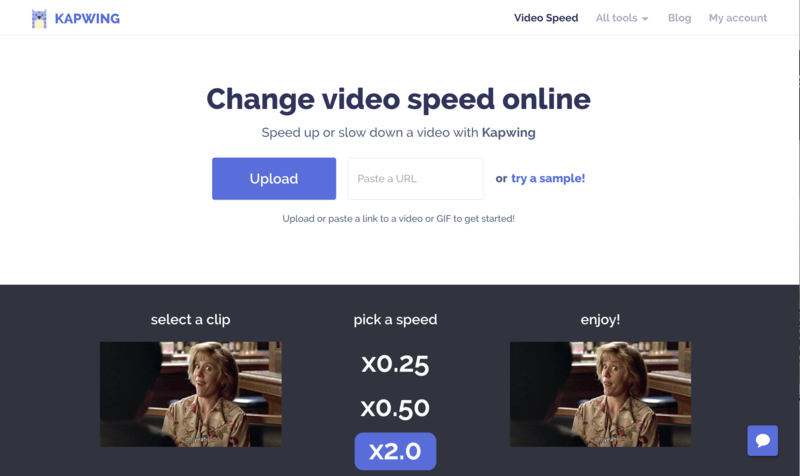 Go to the online Change Video Speed Tool on Kapwing and upload your video. Since Kapwing is free and online you can use it on any device and won’t need to create an account or install software. You can either upload a video from your phone/computer or you can paste the URL of a YouTube, Vimeo, or Google Drive video. After your video preview loads, select a speed of 1.5x, 2x, or 4x to increase the speed of your video. 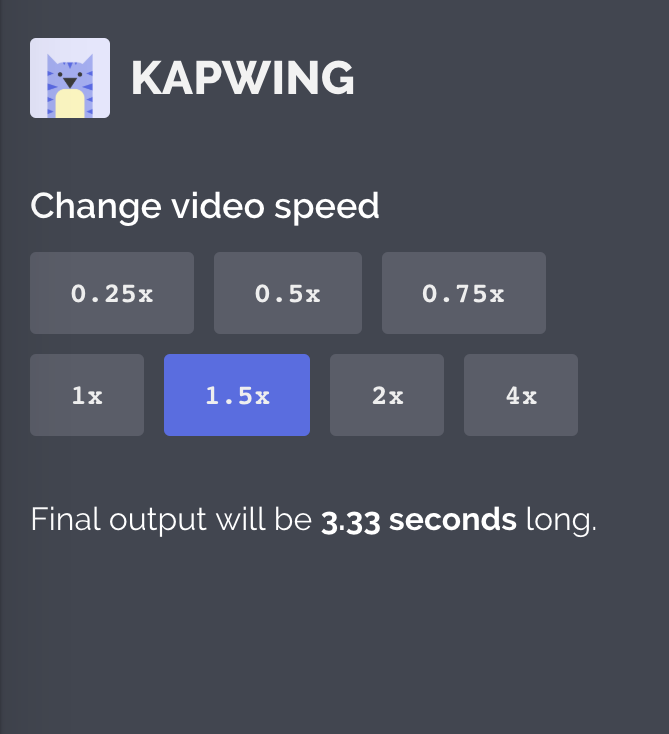 Once you click on a speed, the Kapwing editor will show the expected length of the output video. Click “Create” once you’ve set the new speed. After your video is finished, you can share the Kapwing URL with your friends. You can also download the MP4 and share directly to Instagram, Facebook, Twitter, or elsewhere. Thanks for reading! You don’t have to be an expert to be a video editing pro! Feel free to reach out to us on Twitter or over email with your feature requests and comments. Happy editing and share your results with us by tagging #kapwing on Twitter, Instagram, etc. !